1000 Text Messages Per Month for FREE. Get 1000 text messages per month for 6 months for FREE when you sign up for SalonTouch.Net or SalonTouch licensing and WorldPay. 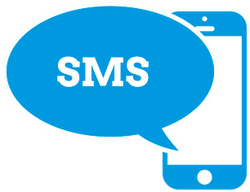 All text messaging setup fees are waived so you can instantly start marketing to your clients and increase your revenue. Start the year off right. WorldPay will meet or beat your current merchant processing rates, plus you can earn up to $750 in WorldPay Rewards. Click on the image learn more and take advantage of this special offer. Through March 31st, you will have access to an exclusive webinar, conducted by Constant Contact Local Product Trainers. The webinars will take place every Friday, beginning on March 4th, through April 1st at 2pm ET. Just enter promo code SPMAR16 at checkout. To speak with a representative about any of these promotions please complete the form below and someone will get back to you shortly. You can also call 877.salontouch (726.6686) to speak with a representative now.